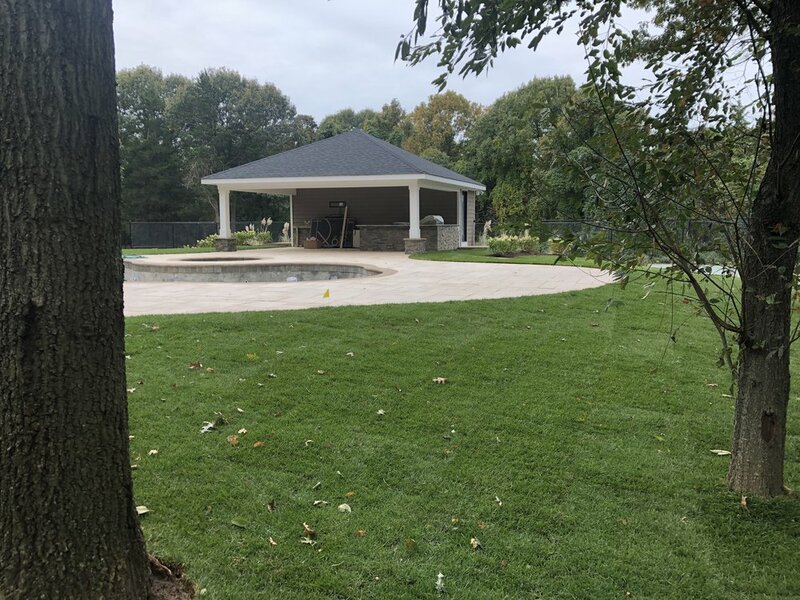 This impressive home’s large backyard presented a mostly blank slate in need of completion. We upgraded the expansive outdoor pool area with an attractive deck and an inviting cabana ready for hosting. 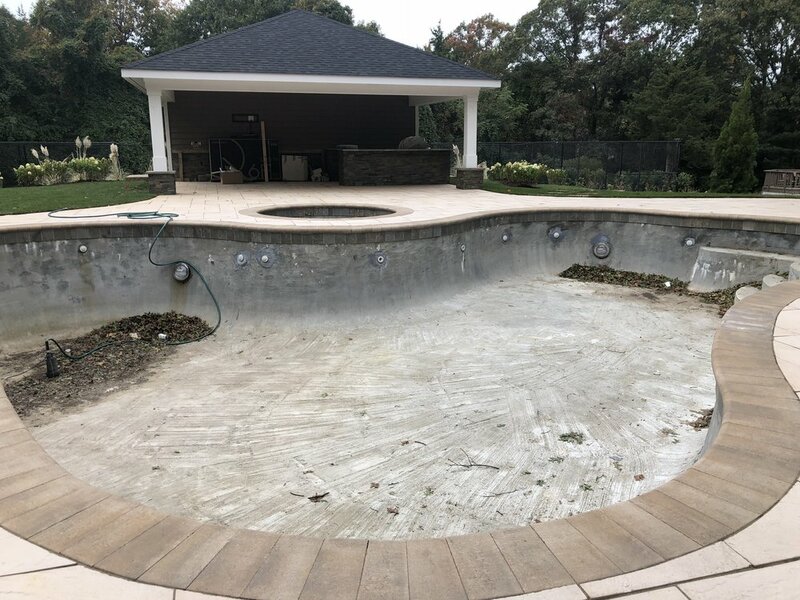 A warm brown palette of Techo-Bloc Aberdeen tastefully integrates the deck to the home’s siding, with differing tones applied around the pool, cabana supports, and other areas to create a visually pleasing artistic contrast. Stepping stones in Cumberland brown guide visitors to a large, sturdy cabana with a lower storage area built into the existing grade. 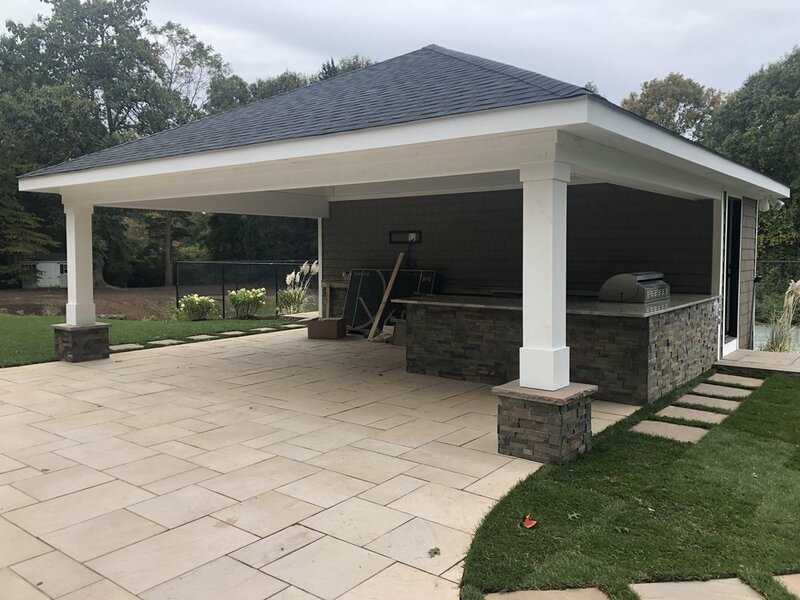 The cabana’s clean white supports and roof trim preserve the openness of the space while support anchors match the natural stone veneer covering of an outdoor kitchen that provides all the space needed for food prep, grilling, and bartending. 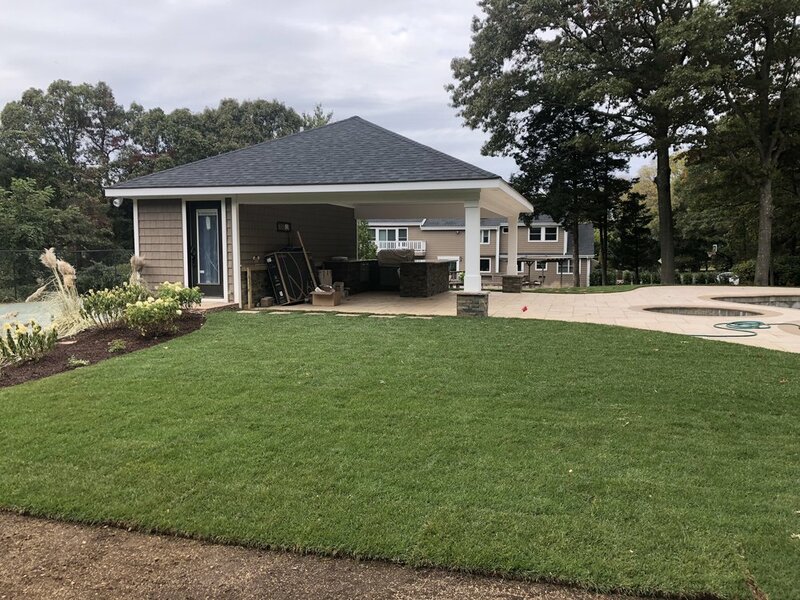 Turf and other plants added throughout the property complement the surrounding landscape and complete what is now an inviting, enjoyable space.